Steam locomotives gripped the imagination when they first appeared in 19th-century Europe and America. Aboard these great machines, passengers traveled at faster speeds than ever before while watching the scenery transform itself and take on new forms. Common notions of time and space were forever changed. 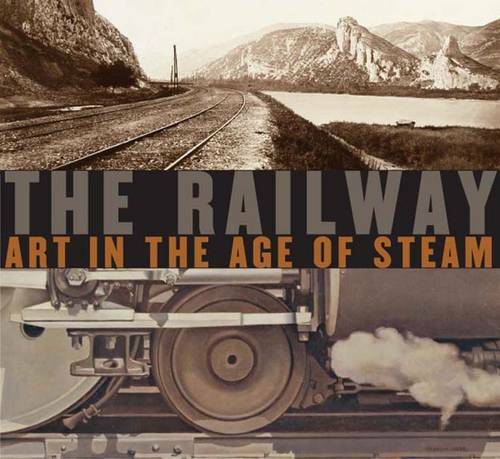 Through vivid illustrations and engaging texts, The Railway: Art in the Age of Steam captures both the fear and excitement of early train travel as it probes the artistic response to steam locomotion within its social setting. Featuring paintings, photography, prints, and posters, the book includes numerous masterpieces by 19th- and 20th-century artists, including J. M. W. Turner, Claude Monet, Camille Pissarro, Charles Sheeler, and Edward Hopper. With its wide variety of themes-landscape painting, the conquest of the West, Impressionism, issues of social class, Modernism, the aesthetics of the machine, and environmental concerns-this work promises an exhilarating journey for both train and art enthusiasts and for anyone interested in one of the industrial age's defining achievements.